It has been a while since I have posted but it may be because my life has been thrown into a complete whirlwind. For one… I have made my decision. I am moving to France. In July, I will start my year long journey abroad. I am still kind of in shock. I absolutely love my life in San Diego. I have the most amazing friends I can ask for and to be honest, this last semester has been the greatest memories in my life. A perfect end to college. But also something that is making it so hard to leave. I have always loved school. I love learning. I love the schedule. I love everything. But now its done. My mom thinks it weird that the thought of graduation makes me burst into tears rather than jump for joy. But really? Who wouldn’t cry about leaving the last four incredible years behind them? Looking back on everything, there is really little to nothing I would change. I mean, yes, I did have some hard times but I realize without those I wouldn’t be who I am today. I quit my job. Probably one of the hardest things I have had to do. I was freaking out. But I am happy now and excited for what is to come. I hope I have the courage to experience everything I should. Closing out a chapter in my life is so terrifying. 4 days till graduation. 54 days till I move to France. So as you can tell, I am completely and utterly obsessed with everything French. This how I spend all my free time. This weekend I went home to spend some quality time with my parents…. and of course to get pampered by my mom. All I did was eat delicious food and relax. Perfect weekend. But, I must add in, France was also a guest this weekend. I bought some more travel books, (one of which was Clotilde’s Edible Adventures in Paris and I highly recommend it–cannot wait to try her picks). Watched some Rick Steve’s travel videos. And topped it off with watching Julie & Julia. The idea of living in France consumes me. I don’t know if any of you, (I say you, but is there a “you” out there? Is anyone reading?) have planned a vacation but I seem to be in the countdown mode. All I can think about is that new chapter in my life. What is it going to be like? Will I like it? Will it be worth it? Well, I can’t really answer all the questions but I do know one thing. I am going. I am taking the leap. One year in France. I dont know why people dont do this more. I feel like we are so caught up in doing the right thing. Go to school, graduate, get a job, have a family. Well I believe people should mix it up. So many people I talk to say “Oh how amazing! I wish I could do that!” Why dont you?? There is a wonderful world of possibilities so go out and get them. I may be naïve but I dont care. I am here to experience life. Why else are we here on this Earth? I have a feeling I will do great things in my life but I also feel like I wont get there just sitting here. I have accomplished many things but I am ready to see the world. And I am ready for them to see me. I am currently reading The Gospel According to Coco Chanel and although I am not even half way through the book, I am in complete admiration. I like to think if I lived during her time that we would have been friends. She had a drive that allowed her to do what she wanted no matter what. Chanel was known to be liar. If she didn’t like her past, (which she didn’t because she was a poor girl whose father abandoned her and her mother died at a young age). Now not that I am supporting lying, I admire her strength to go on. She had incredible mind over matter abilities. 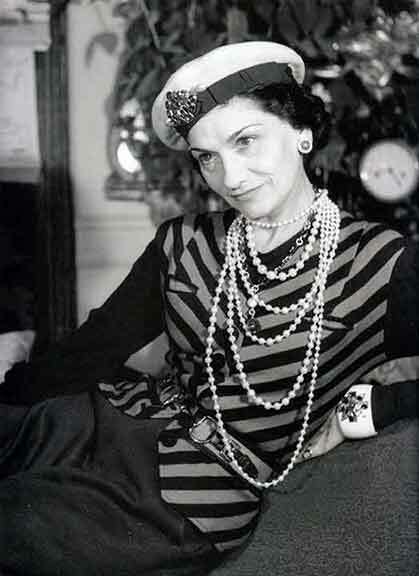 She created Coco Chanel. Self-invention. She created the person she became. She took what she had, which was nothing, and created an icon out of it. Her persistence never faltered and to this day people are still wondering if there are even true stories about Chanel out there. Coco Chanel knew who she wanted to be and was not going to let anyone change that. Her quotes are filled with bluntness and her true character shines through. When ever I read this book, I feel like I am sitting down with Coco Chanel at lunch for a bit of advice. Quite a nice break in an 8 hour work day. For women, it’s a must-read. Take an hour of your day and get to know this fabulous woman–you wont be disappointed. So I still haven’t completely made my decision. But of course, I am still leaning towards France. I just got pulled into my boss’s office and found more details about the job I would have if I stayed. Administrative Assistant. I can’t get over that. I mean I may be overzealous but I am graduating with a management degree. Meaning in essence, I should be able to graduate and go into entry-level management. I have always wanted to be an event planner. But I also have always known I want to be a wife and mother. Those two things, as I have seen in my experience, do not go very well together. So while I am young and single I want the opportunity to travel, have a hectic schedule, be stressed, etc. Not sit at a desk 8 to 5 hoping for a promotion in a couple years. This isn’t the only reason France is calling me though. It is truly a once in a lifetime opportunity. I mean when can you just move abroad for a year. I want to grow, I want to experience, I want to learn. I feel like if I chose to move abroad it will be the biggest learning and growing experience I could ask for. Staying here is the safe thing to do and I am ready to take risks. I am ready to try my wits taking care of two little boys and living on my own. I am ready to immerse myself in a new culture. I am ready to travel the world. My mom keeps telling me to talk to people and I can honestly say next to no one says to stay here. Everyone says to just go. When am I ever going to have that opportunity?? So here I am. Still contemplating the next move. So here I was worried about what I was going to do when I graduate. And now I actually have the able to decide between two incredible opportunities. I absolutely love where I work. It has been the best experience and I really could not ask of much more in a job. It is in my field and it is such a reputable corporation. Well I am currently just doing an internship and due to their budget, they were not hiring… or so I thought. Come to find out, one of the division assistants may be resigning and my boss want to know if I as interested in the position!!! Now it is not for sure, but wow! They are interested in keeping me on. SO AMAZING. But wait… wasn’t I supposed to move to France? Yeah…. yeah, I was. So what do I do now? Have a opportunity to live in a new country that I will probably never get to do. Or the opportunity to work for the corporation I have worked towards all of college. 1:36 am. Still awake. Why? Because I am obsessed. I just got off Skype with my dear friend in France. Can my 9 months just start now? I know if may seem fast that I decided but France has always been the one on top. If I go… I am going to France. Today I had a long convo with my parents. My mom loves me dearly and would hate for me to be gone a year. A year. It does seem long doesn’t it? But I can do it… right? When I was talking to my friend she said most people stay for the school year–9 months. Now that doesn’t seem too bad. Yes, I do realize that is only 3 month short a year but it doesn’t sound so scary. I am afraid to leave everything I know. Everything is safe. Most importantly the people I love. I would hate if anything changed what I have right now. But I want to grow up. I want to be independent. I want to try something new and not be afraid. I honestly think I will love it when I am there. I wouldn’t be surprised if I wanted more. It’s just the initial umpf that I need. I think I am going to do it. Ok France… here I come… well in 8 months…. So I spent a lazy day at home, (which are usually rare for me,) pondering my potential au pair locations. I went to Europe– London, Paris, and Rome– in 2005 with a student group. So today I decided to reminisce and watch the video that was made from the trip. Just as amazing as when I was there. Europe is calling me. I know I was meant to live there… at least for a portion of my life. It is incredible how much time you can spend on the internet researching. The hours flew by as I stared at my laptop unfolding the possible adventures I could take next year. Currently, I am seriously talking to a family who lives just outside of Paris. Right now, I believe they are the front-runners. However, I have been in contact with a family in Italy. Now, I have always loved Italian food and culture and when I went to Rome I fell completely in love with it. So naturally, getting a chance to au pair there would be incredible. However, I know less about the family and that makes me hesitant. My friend has been au pairing with the family in France so I know it is a safe situation. Also, the opportunities to explore Paris and the surrounding areas seem like they are very accessible. Spending the day researching places to travel and possible excursions from Paris was quite enjoyable. It makes me more and more anxious to go. Is this really going to happen? As I sit here it seems that May is coming much faster than I would have hoped. We just spiraled into 2010, not even knowing where 2009 had gone. I just can’t believe it. I mean I feel like I just started college. Where did the 4 years go? I have always been someone who knew where I was going. I declared my major as a freshman and never looked back. I loved what I was doing and didn’t think I needed to look any further. 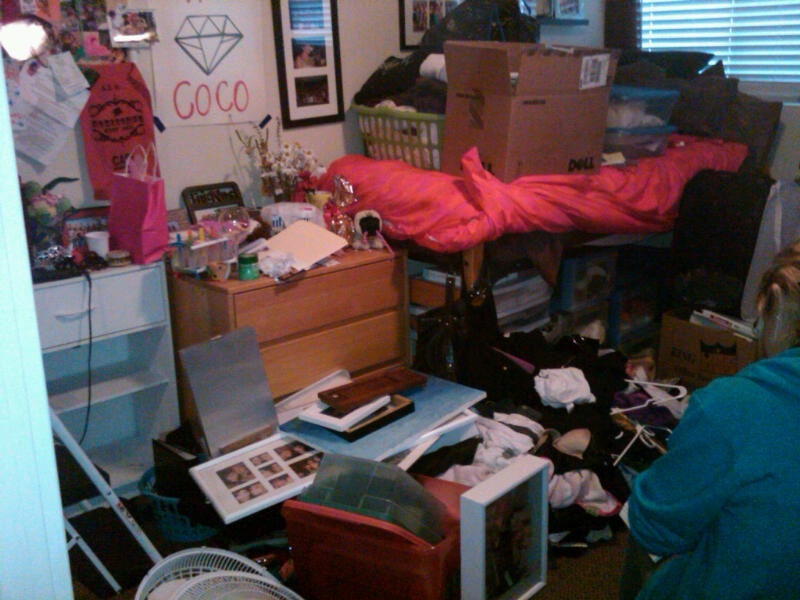 I have always been involved in school and I can honestly say college has been the best four years of my life…. so far. That being said… I will not stand to dwell on those four years once I graduate. Therefore, I need a change. Something new. Exciting. Spontaneous. If there is one thing that I regret not doing in college, it is studying abroad. I have traveled and been to Europe but I have always wanted the experience of living somewhere new. I am extremely close to family and friends and cannot imagine not having them in my daily life– but I think I am ready. Ready for my quest for my new chapter. I have always loved San Diego. I strongly believe that I will end up here. I just believe there are going to be some stops along the way before I declare my permanent residency. So what now? I ask. Well my current path is on the idea of au pairing. A good friend of mine from high school has been in France the past year. How fabulous, right? Well I decided to talk to her about her experience au pairing and she has been more than helpful. What an experience it sounds like! I know it isn’t all rainbows and butterflies caring for someone else’s kids for a year… but living in France! Can you imagine? I want the chance to be a part of something new and exciting. I want to live abroad. I want to travel. I am just trying to muster the courage to leave my surrounding and the people I love. I don’t want to be scared but it is tough to wrap my head around the whole thing. It is seriously all I can think about. I research au pair stuff 24/7. Hoping to find something the springs me forward to a definite yes. So here I sit. MacBook in hand. Researching my future. And hoping that May will bring something new.